Hotel Augusto's Paysandu는 산토스 두몽 공항에서 3km 떨어진 플라멩고 해변(Flamengo Beach)에 위치해 있습니다. 호텔에서 코파카바나 해변과 리우데자네이루 시내까지 모두 쉽게 이동이 가능합니다. 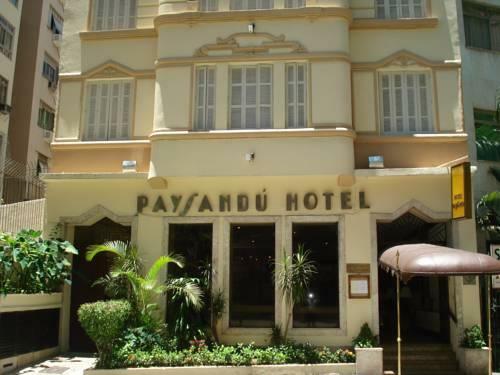 Augusto´s Paysandu Hotel은 간소하고 세련된 객실을 제공하고 있습니다. 객실에는 에어컨, 케이블 TV, 미니바와 금고가 마련되어 있습니다. 호텔은 리오 대통령궁(Rio's Government Palace)과 공화국 궁전(Republic's Palace)에서 가까운 거리에 있습니다. 갈레앙 국제공항까지는 차로 50분이 소요됩니다. 브라질 연방법 8.069/1990에 따라 18세 미만의 미성년자는 부모님 또는 법적 보호자를 동반할 경우에만 호텔에 체크인할 수 있습니다. 미성년자가 부모님 이외의 성인과 동반할 경우 체크인 시 부모님의 서면 동의서가 필요합니다. 동의서는 부모님 모두가 서명한 후 공증되어야 하며, 공증받은 부모님의 신분증 사본이 첨부되어야 합니다. 18세 미만의 모든 미성년자는 본인 및 부모님의 신분을 확인할 수 있는 사진이 부착된 유효한 신분증도 제시해야 합니다. 부모님이 미성년자를 동반하는 경우에도 동일하게 적용됩니다. 미성년자가 부모님 중 1명과 동반한 경우에는 동반하지 않은 부모님의 서면 동의서(공증)와 신분증 사본(공증)도 함께 제시하셔야 합니다. 신용카드 결제 시 Augustos Paysandu Hotel로 표시되오니 참고하시기 바랍니다. Very friendly and accommodating staff, the good location (near the beach and Largo do Machado metro) and nice neighborhood even at night. They put me in a nice double room on the fifth floor, but unfortunately it had strong kitchen smells. They moved me to a triple room which was a bit dusty but all in all it was good enough for me. Internet was free and the connection strong. Breakfast was good (fruit, bread, cheese and processed meat), but I would suggest they serve eggs. Otherwise I enjoyed my stay in this hotel with its classic interior. it was great lots of sites and beaches,great local food and shops,,easy accsess to everything.super swap meet a block away. The hotel looked very old, both on the outside and inside. It was definitely well kept and clean. If I had a choice, I would not stay there again. The area looked dodgy with pick-pockets around the corner. The hotel was kept locked throughout the night, which seems to give the feeling that the area was not safe at night. Overall, the stay at Paysandu´s was good. The bed however was a little too small for a double bed and the pillows were too flat and hard. Thankfully I had my travel pillow so that my partner could make use of the 3rd pillow in the cupboard to give his neck support. One of the guys working at the reception was so friendly and sometimes he even had my key ready when he saw me walking into the hotel from a distance! Location wise, the Flamengo area is not that far from the domestic airport. 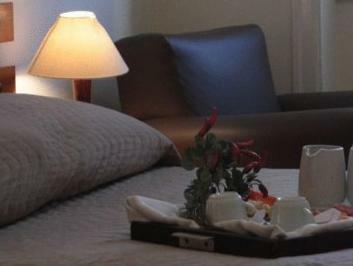 The hotel is also near to sights such as Christ the Redeemer and Sugarloaf mountain. I didn´t go to Copacabana which would have been near but took a really long bus ride instead to Ipanema which was beautiful. Internet was charged at R0.10 per minute which was more than enough for me to send a few emails a day. Breakfast was the same everyday but it was sufficient with juice milk, an array of ham, cheese, bread, cereal and cake. location was amazing. quick check in and check out. reception was always giving you informtion and was aslso kind free internet and computer but limited to 15 minutes. no eatin gpossibbilities in hte hotel only snack but beautiful garden. very noisy rooms because of hotel staff. average breakfast. very tiny shower and dirty drwer in the room as well as no coathanger. wonderful restaurant with lots of international meals and local meals close to the hotel. Freindly and efficient front-desk and other staff. Basic breakfast included. Double room smallish but comfortable and clean. The four-bed rooms are rather cramped. I would never stay in this hotel ever again. A low quality hotel that is going to crumble down quite soon in a boring location. The closest beach, Flamengo Beach,while pretty, is not good for swimming because of low water quality. I loved the Hotel Paysandu! Located in Flamengo, a part of Rio just north of Cocacabana, near the water, it is an older, small hotel in a quiet neighborhood, built in an art deco style, and retains an old-fashioned atmosphere. The lobby could be out of a movie from the 1940s, and the hotel has a doorman, bellboys, and very helpful desk clerks, especially Marcos, who speaks excellent English. My room was clean and quiet--in the back of the hotel with a view of a lovely garden (actually an area of some tall trees in a kind of a square made by surrounding apartment building). The shower had plenty of hot water, the bed was good, the room had tile floors, and windows that open. It is quite inexpensive for Rio--through Agoda I paid $52 a night for a large room with a double bed. There is a charge for using the wireless but it is not exorbitant. Breakfast was a buffet with fresh fruits, cereal, cheese, cold cuts, bread, and juices, along with great coffee with hot milk, and eggs on request. The dining room is nothing special, but it is comfortable and you can also have dinner there. There are nice cafes and restaurants in the surrounding neighborhood and excellent access to public transportation, including buses and the easy-to-use metro. You can get to Cocacabana or downtown on the metro in a few minutes, and there is a bus one block from the hotel that goes directly to the tram to Corcovado. There is also a taxi stand on the corner. The area around the hotel feels very safe. It was really nice to be in a part of Rio that didn't feel like a tourist zone, though a little inconvenient to get to a swimming beach. I stayed a week and would go back, now that I have learned how to take public transportation. Excellent séjour à l'hotel Paysandu qui est très bien situé dans le centre et très bien sécurisé ( proche des bus aéroports, métro et bus ville). NOus le recommandons fortement à tout voyageur de paysage. e também eu tinha direito a um pequeno almoço mas me falaram que este pequeno almoço era o café da manhã informação errada almoço é almoço e café da manhã é café da manhã. Central in Rio for a decent price. Could be some things but overall you get exactly what you pay for. Room was ok, staff was ok, overall the hotell provides what you pay for. The breakfast buffet was a bit better than average. It is a well known hotell so Taxi drivers etc will always know where to take you. I would stay here again and would recommend it, but if you're expecting a luxurious or high class hotel you can forget it and step up a pricelevel. Traag internet en wifi moet gratis worden. Het hotel moet die service verlenen. Een uitgebreidere gedetaiieerde plattegrond met metro bus lijnen zou wenselijk zijn. Touristische info blijft achter. Ik ben 4 dagen in het warme rio geweest. Het is me goed bevallen. Juist door de ligging en de vriendelijke wijze waarop ik behandeld ben als gast. Uw hotel gaf mij een veilig gevoel. Graag zou ik meer willen weten wat er cultureel gebied ter plaatse te doen is. Er zijn voor zover ik weet geen touristinfo points. Misschien tot een volgende keer.